By buying this product you'll earn up to 3719 Rewards points. In a movie theater, the illusion of reality is enhanced by having the front right, left, and center speakers positioned behind the screen. Screen Innovations' acoustically-transparent screen material will provide that same heightened realism in your home theater. This screen's perforated fabric means you can place speakers behind the screen with virtually no loss in sound — or picture — quality. Install in-wall speakers behind the screen and enjoy clean sound and a clean look. A perforated screen is a great option if creating a very realistic soundstage is one of your top priorities. Screen Innovations' acoustic perforated materials have over 28,000 tiny .55mm diameter holes per square foot. 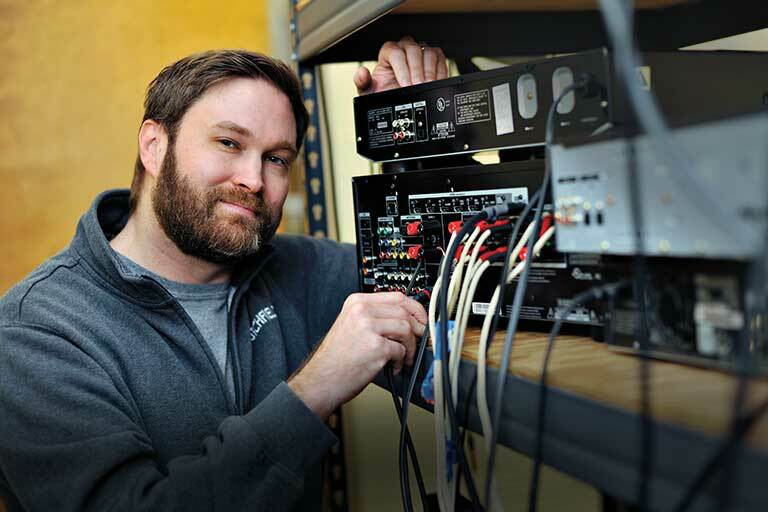 During the development of their perforation technology, SI sent their materials to third-party acoustics labs for testing. Typical impact on frequency response is well within the -3dB range, with maximum attenuation of -6dB at 20,000 Hz. This effect can be easily corrected by most modern A/V receivers with room correction. Also, many in-wall speakers include a treble compensation switch to adjust for this type of installation. 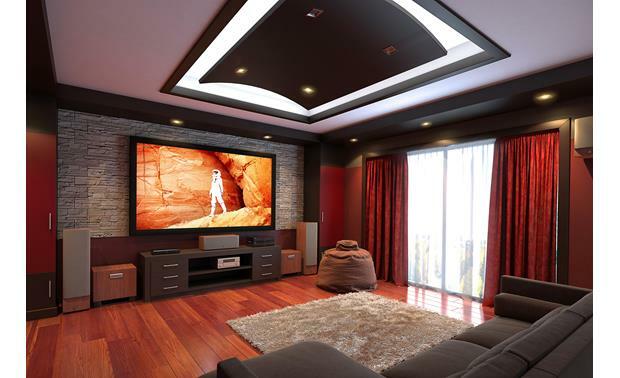 The main reason you don't see more projectors in homes is that conventional projection screens require a dark room to produce a vivid, colorful picture. Screen Innovations' Slate material lets you enjoy a brilliant, colorful picture even in a room with some lights on. 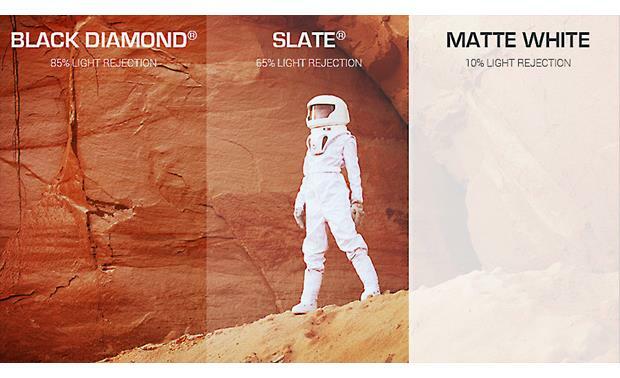 Slate's special optical coatings reject 65% of a room's ambient light, compared to less than 10% rejection using a standard white or gray screen. 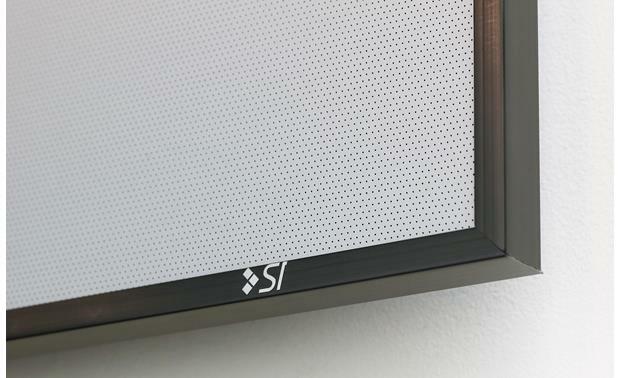 Slate screens feature SI's proprietary Micro Texture surface that is nine times finer and smoother than conventional screen materials. That means 4K Ultra High Definition content will look pinpoint-sharp, with exceptional picture depth. If you're thinking about making the jump to a 4K projector, like one of Sony's SXRD models, a Slate screen makes an ideal match. This gunmetal gray surface has 1.2 gain, which gives any projector a slight boost in picture brightness. This screen ships unassembled, and can be put together using basic hand tools. Screen Innovations' simple 5-step assembly and mounting process has been designed to accommodate a quick, one-person installation with minimum effort. 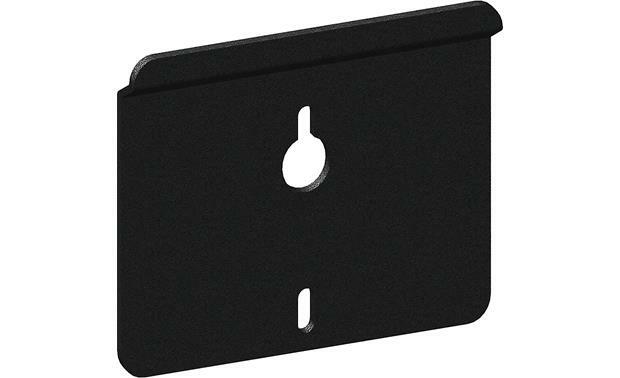 Recommended mounting height is 36" to 42" from the floor. 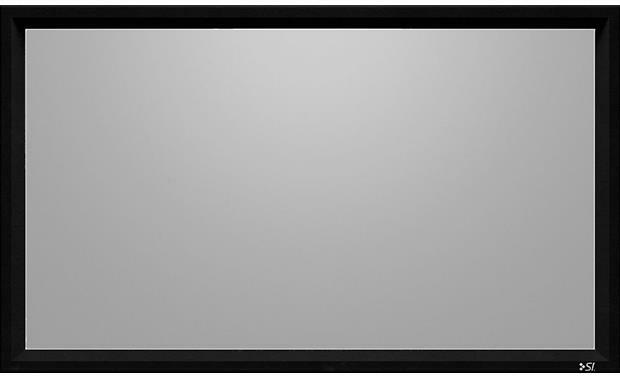 Searches related to the Screen Innovations 5 Series Fixed-frame projector screen with acoustically transparent perforated Slate® gray fabric.